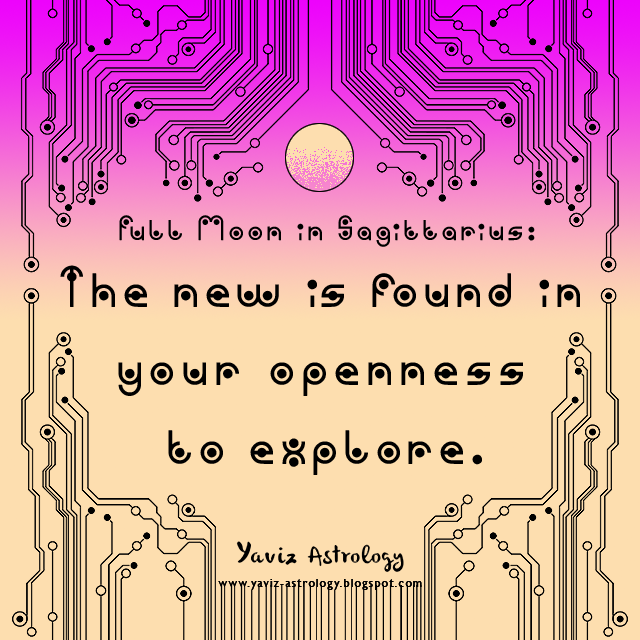 Full Moon in Sagittarius: The new is found in your openness to explore. Opening ourselves up to new experiences is not only about doing things differently, but also about exploring what we consider to be our comfort zone. One of the most uncomfortable aspects about going out of our comfort zone is doing things that we don't want to do. When in truth, it shouldn't have to be about doing things for the sake of trying, but more for the sake of self growth. Growing to be more ourselves. Growing to move beyond our old limitations. Going out of our comfort zone is also not about getting out of our safety zone and into danger. It's about doing things differently because our old ways of doing things have become stagnant. One of the main reasons why we feel the need to change is because we want progress. We want to go to that next level of personal evolution. Some of us may believe that our comfort zone is good enough for now, but even those comfort zones may change with time. Because our tastes, preferences, hobbies and even personalities grow with us. What we believe to be cool at age 18 may seem mortifying at 28. What we believe to be romantic at age 28 may seem rather silly at 38. There will come moments in our lives when we ask ourselves: "Is this all there is? ", "How can I find more fulfillment?" and "What lesson can I learn from my comfort zone so that I can go beyond it?". Many of us believe that we need to wait until we are more qualified, more brave, more mature, or in other words 'more perfect' before we can make that leap forward. Even though there may be some truth to that - because we don't want to make irrational decisions that we will regret later, it's ultimately about making peace with our imperfect past, or as some would say, our 'mess' and going forward anyway. It's about accepting that we are evolving with each choice and mistake that we make. It is in embracing the new, knowing that we are letting go of what no longer serves us can we welcome what can build us into becoming an even more authentic version of ourselves. Happy Full Moon! The Moon is joining Mars Rx and Saturn Rx in Sagittarius forming an opposition to the Sun in Gemini, marking an extra idealistic and restless Full Moon in the sign of the Centaur. This particular Full Moon also happens to be a Blue Moon, signifying an additional Full Moon in the same sign of Sagittarius on June 20th, 2016. Full Moons in general are times of culminations and bringing things to light. But with 4 planets (Mercury, Mars, Saturn and Pluto) still in their retrograde phase, this can be a great time to use our goals, actions and strategies to create a plan. This is not to say that we shouldn't take any action, but more to take action from a deeper sense awareness and understanding. Recognizing that each action step that we take is an important part of our dream building process. A little extra patience can go a long way at this time, rather than fruitless impatience. Because lack of patience is a sign of stress response to whatever is going on in our life. So rather than feeling impatient, we can ask ourselves how we can deal with delay, difficulty or annoyance differently. Perhaps lack of strategic planning is part of the problem. Or perhaps it's our negative mindset that is holding us back from taking those necessary steps. At the end of the day, we shouldn't blame ourselves for our impatience, but recognize when impatience arises. When things are not going our way - instead of blaming external factors, look at what's going on in our own mind. Is our mind calm or agitated? Is our body relaxed or tensed? And then begin to transform our impatience into patience. See our patience as a sign of self-compassion. See our patience not as a sign for not taking action, but to begin those actions in the mind. From there, we can move forward one step at a time, one plan at a time, one self-building thought at a time. With the Moon's square to Neptune and Jupiter, we are guided to learn the art of saying no. Have we been compromising our needs lately? Because the Full Moon is bringing to us a reminder to respect our needs, our path and ourselves. Make a clear commitment to respect ourselves. And know that the more we are true to ourselves, the more we love and respect ourselves also. Is there some areas of our life where we feel trapped and controlled by others? What changes will we make as we respect ourselves more? Our soul longs for growth and expansion. So rather than feeling stalled, stuck or confined, question any assumptions we have about having no choice. We are asked to imagine what our life will be like if we let go of restrictions and self-limiting beliefs. 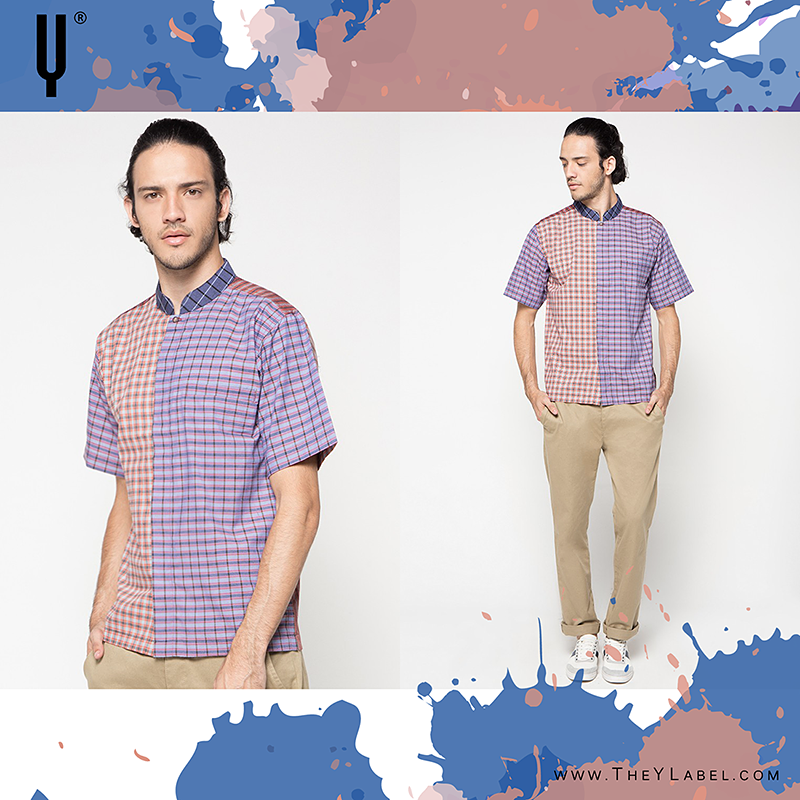 This is not about releasing responsibilities, but more about finding a new way that gives us a sense of freedom. The Moon is also forming a trine to Uranus, and to get something we never had, we have to do something we've never done. The more that we allow ourselves to explore, the faster the new will rush to our side. Keep our thoughts upon welcoming the new with grace and ease, because manifestations are repelled by fear and control energy. Even if we can't yet see evidence of the new, it's here. Embrace the newness of it all, and try not to rush the learning process. This is one of those times in our lives when new ideas can inspire us and new opportunities bring us hope for seeing our dreams come true. Allow our heart to fill with new enthusiasm, and we will find the energy we need to feel renewed. 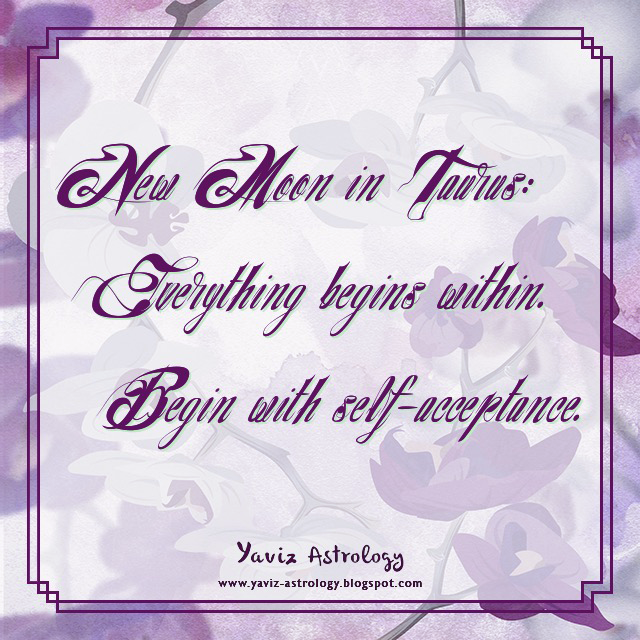 New Moon in Taurus: Everything begins within. Begin with self-acceptance. Can we truly accept ourselves? Can we accept not just our flaws, but also our strengths? It may be easy to spot our flaws or what we deem to be internal or external imperfections. But it is not always so easy to spot our strengths. This is not about what we are good at or what we inherited from our parents, but more about something that goes beyond the surface. Something untouchable. Something invisible. Some call it inner flame. Some call it soul power. 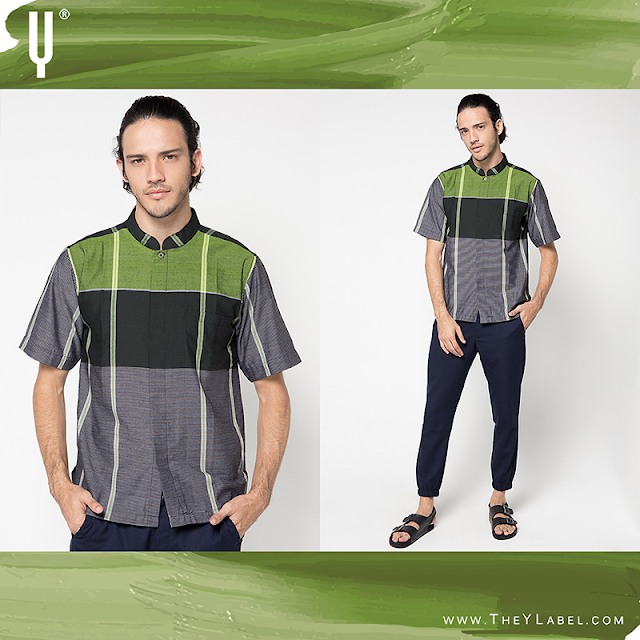 Although essentially they are all about one thing, self-acceptance. So what is self-acceptance? We know it's about accepting ourselves, flaws and all. We know it's about feeling more compassion and love towards ourselves. Some of us know that in order for true self-acceptance to occur, self-forgiveness is that first important step we need to take. But the part that many tend to forget is the true importance of detaching ourselves from our negative self-judgments. No matter how accomplished we are, or how happy we may seem, we all have our own positive and negative self-judgments. The key is to find a way to detach ourselves from that negative inner critic. One that prevents us from discovering our personal power and changing our lives for the better. One way to stop negative self-judgments is to switch our minds to more positive thought patterns. Positive thinking can be powerful when we don't hold ourselves to unrealistic standards. It is ultimately about releasing our need to assign meaning to those negative self-judgments so that they won't weigh us down. By practicing mindfulness, we can become more aware and learn to notice when we are tearing ourselves down. From there, we can begin to transform our self-criticism to self-acceptance as we reframe our negative self-judgments to a sense of openness to growth and new possibilities. Happy New Moon! The Moon is joining Venus, the Sun and Mercury Rx in Taurus, marking an extra intimate and growth-inducing New Moon in the sign of the Bull. What lies deep within us rises to the surface to bring us new awareness. Aspects within ourselves that used to hold us back, no longer hold power over us. Because we realize that they were there to remind us of who we can no longer be, and who we can be from this point forward. Venus has been moving through Taurus and it's all about the beauty that we can see in the present moment - whether in the physical or the material. To find harmony within ourselves and not look to the outer world to provide certainty. To recognize that the way to peace is through radical acceptance. Everything in our world is as it should be, in spite of temporary conditions. This is one of those times when we can finally see that to be who we need to be, we can no longer do what we did. Mercury Retrograde in Taurus is about restrategizing and retracing our steps. Be willing to learn new things, speak in a new way and stay flexible without compromising what's most important. Because when we become too rigid, we lose our way toward personal evolution and untapped potentials. The New Moon in Taurus is asking us who do we want to be? What do we need to believe so that we can turn our imagination into manifestation? Spend time daydreaming, or meditating on how we can create more prosperity and what it means to be prosperous. Can we imagine the kind of life we desire? To really imagine it without holding back the power of our imagination and creativity? With the Moon's sextile to Neptune and Chiron, we are guided to release any fear we have about the reality of manifestation. Instead of using our imagination to anticipate something negative, clear the inner slate and stay grounded in our power. The power to visualize positive possibilities. The power to sweep away what's no longer needed. The power to forgive ourselves for making the choices that we made. Perhaps we need to declutter our home to let go of unresolved resentments. Notice the hidden symbolism in our surroundings and see where we can make room for new energy. Simple things like opening our windows, cleaning up our email inbox, or sorting out our timetable can help free ourselves from feelings of being overwhelmed and overburdened. The Moon is also forming a trine to Jupiter Rx and Pluto Rx, and whatever opportunities we thought were dead can now be revived in a more authentic and stronger form. Whatever we may have perceived as a failure or loss can now be replaced by something more powerful growing in its place. Some kind of rebirth is assured when we are ready to step into our new self. The Taurus New Moon is here to remind us to focus our power on developing a healthy sense of self-esteem, as well as on thinking and speaking manifestations into existence. This is not the time to feel discouraged. Instead, use our discernment to only think and speak about that which is encouraging. This is also not the time to complain, because we don't want to manifest more of that we complain about. It's time we took our power back and affirm: I accept myself for who I am without judgment or criticism.